Sleek and low profile, the WeatherTech Easy-On Stone & Bug Deflector is aerodynamically designed to provide excellent protection against stone chips and bug stains. Made from aerospace-grade acrylic, it is virtually indestructible and extremely scratch resistant. 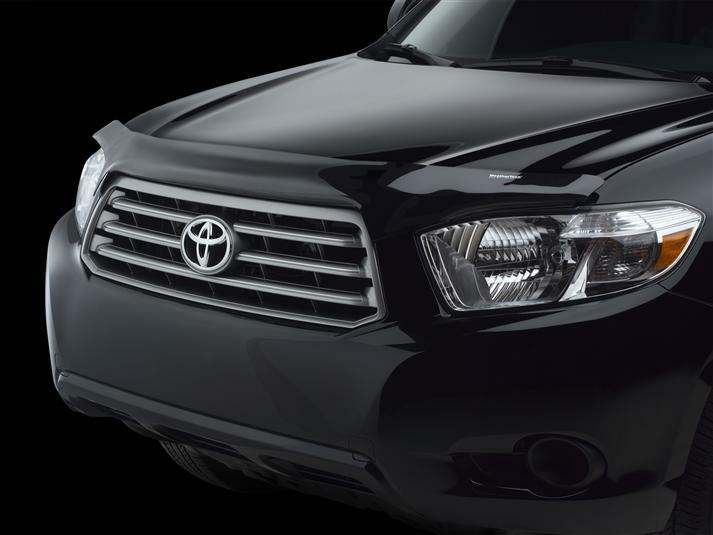 Attaches easily to most SUVs, trucks, minivans or cars using either a 3M brand automotive adhesive tape or fasteners that use existing holes in your 2008 Toyota Highlander's hood. No drilling is required. A beautiful and protective addition to any vehicle. Just got your stone and bug deflector for my Toyota Highlander. It was easy to install & fit perfectly.